 Black Death Porter is part of the Russell Brewmaster Series: a succession of different small batch brews that push the boundaries of taste and explore new styles of beers. Black Death Porter is a wee heavy porter brewed with a blend of Canadian and Scottish malted barley. It has rich roasted malt flavours balanced with the bitterness of aroma hops. It is high in alcohol and may result in excessive laughter or brutal honesty – be warned.